Tulip Time®2019 is Coming. Over 35,000 Tulips Planted! Tulip Time 2019 is just around the corner. 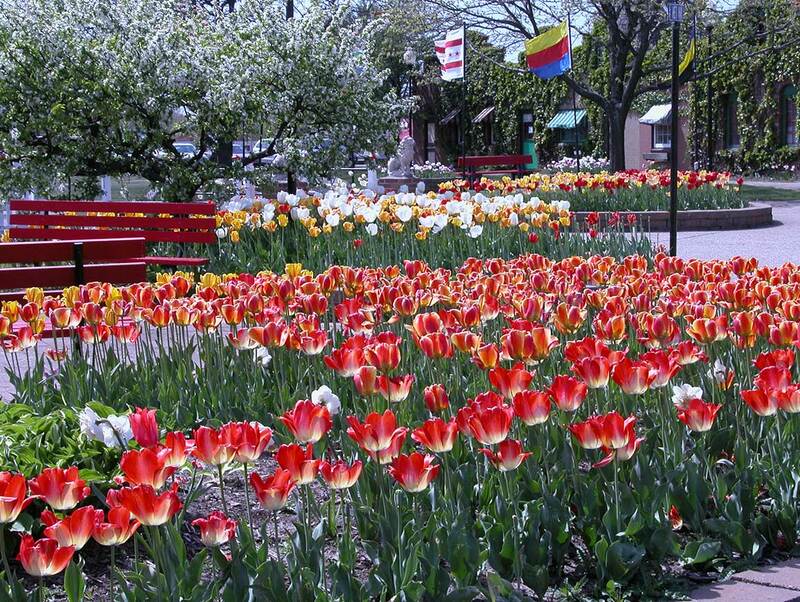 Make your plans now to visit Nelis' Dutch Village and Holland, Michigan for Tulip Time May 4-12. This year is the 90th anniversary of the festival. Below is some great information to help you plan your 2019 visit. 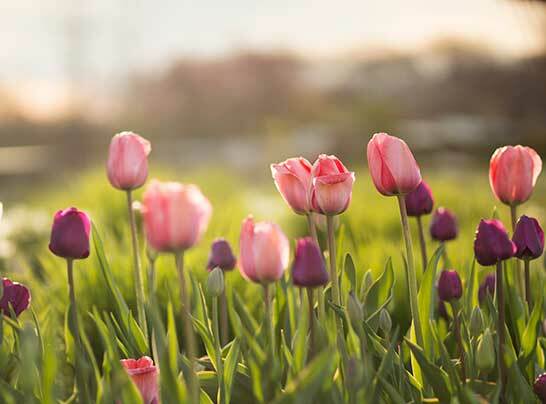 For 90 years, the Tulip Time festival in Holland, Michigan has attracted guests from around the world for fun and flowers. Nelis' Dutch Village and the Nelis family farm before it has been proud to be a part of the festival since the very beginning. Tulips came to Holland, Michigan with Dutch settlers. In 1927, a biology teacher for Holland High School recommended a day festival at a Woman's Literary Club meeting. The idea caught on and the city sold bulbs for a penny to residents in 1928, resulting in the first Tulip Time event in 1929. Many people come to Dutch Village expecting to see tulips year round, but tulips are spring-blooming perennials that grow from bulbs. Tulips originated in the Ottoman Empire (today's Turkey) and made it to the Netherlands in the 16th century via Dutch traders. The blooms became so popular, that bulb theft and garden raids were a common occurrence. In the mid-1600s, there was an economic bubble known as "Tulip Mania" which rivaled the tech market crash or real estate crash of recent history. 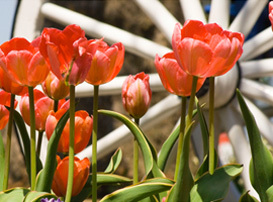 We plant over 35,000 bulbs for Tulip Time each year with over 100 varieties of tulips. Tulips are planted throughout the park. While you can see many of our beautiful tulips from outside the park, for a truly incredible experience you'll want to step back in time and into the park. During Tulip Time, Dutch Village is open extra hours to accommodate extra visitors. Come early and stay late during this fabulous week. If you want to view the tulips and avoid larger crowds, you might want to visit the first weekend or Monday and Tuesday. During these off times, you'll be able to visit the tulips throughout town easily. One of the best place to see tulips is right here at Dutch Village. But, we understand you might want to sample some of the other tulip displays around town. Unlike other festivals, Tulip Time happens all around Holland, Michigan, not just at a fair park or downtown. There are six miles of Tulip lanes that line Holland's streets. You'll find several places to view the flowers that are magical. Windmill Island Gardens, Riverview Park and Kollen Park offer spectacular tulip displays during Tulip Time. These larger parks have massive displays and don't get quite as crowded as the Tulip Lane downtown or Centennial Park. Veldheer's Tulip Farm, located north of Nelis' Dutch Village on US-31, is another tulip highlight. Parking for any festival is difficult. 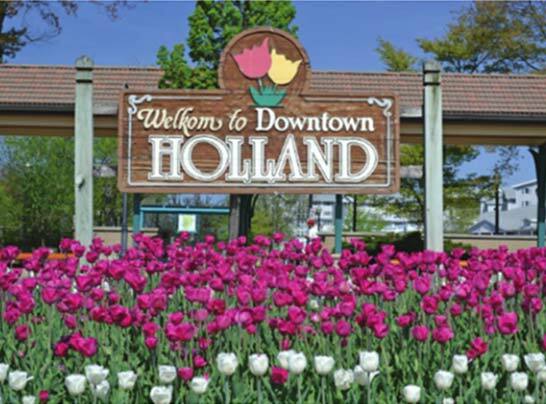 Holland's downtown is a great space to walk, so we recommend parking outside of downtown and taking a refreshing walk into the tulips. This year, there will be a shuttle leaving from the Dutch Village parking lot available from 10am to 6pm every day of the festival. You can park in our parking lot and have buses take you to all the festival highlights and locations. The shuttle is only $5 per person for the entire festival. Save time and stress and park at Dutch Village. 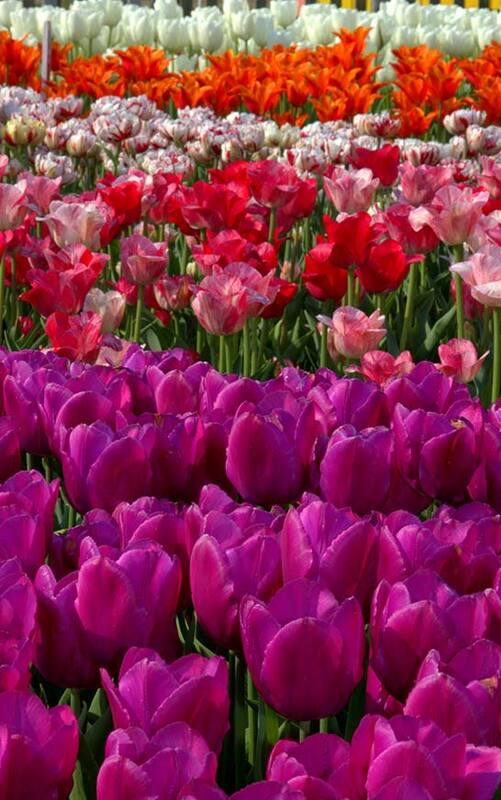 Tulip Time® is a registered trademark of Holland Tulip Time Festival, Inc.
You can order quality tulip bulbs directly from our garden center. Our bulbs come from Holland and will be delivered in next Fall just in time for planting for Spring 2020 blooms. Want a memory of the tulips that will last? 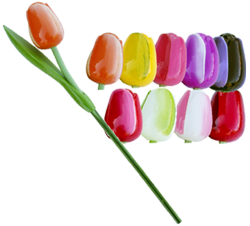 Grab a bunch of our popular 14-inch wooden painted tulips in a variety of colors. They are available in our gift shops usually from July until December. You may also pre-order from our guide above.